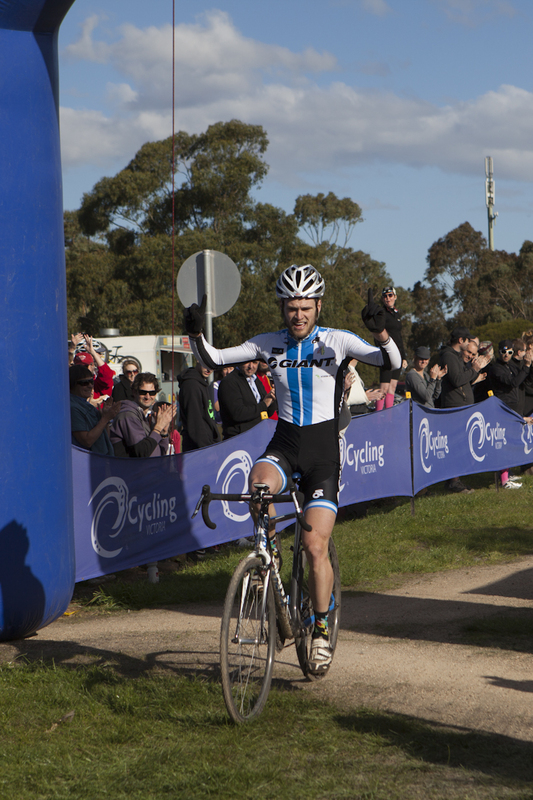 Lewi Rattray's CX Blog: Victorian Cyclocross Championships! 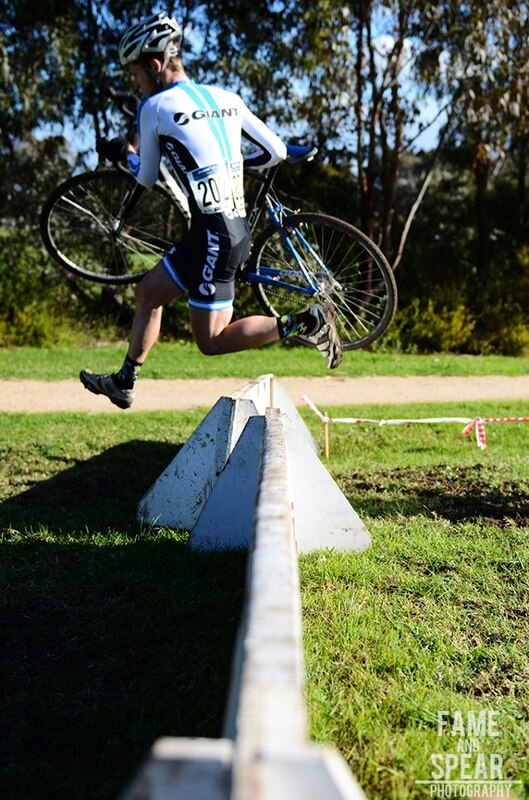 The state cyclocross championships were held yesterday at Bundoora park, the highest point in metropolitan Melbourne. 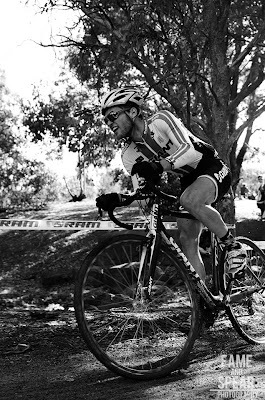 The course was dry and fast, on grass and dirt, with a sketchy creek crossing full of rocks, which claimed a dozen punctures in the earlier races. I decided to run 45 psi in the tubs (way too much!) to eliminate any chance of a puncture, on a course like this a puncture would end any chance of doing well. Lining up on the start was a small but high quality field of around 20 riders, including national cx series leader AJ, ex national road champ Allen Iacuone, National Series front runners LSD, Grover, Paul Redenbach and more. 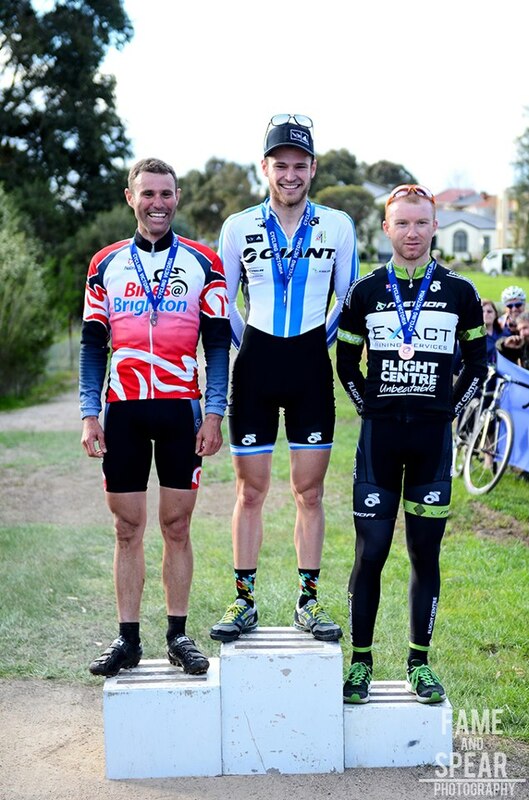 This was probably the most important race outside the national series in Australia for me, and whilst I wouldn't be disappointed with a podium, a win would leave me happy with my form approaching another euro winter. I've been working on my explosive power with coach Mark, and replaced my cleats, which seems to have solved the exceptionally poor starts I've had at all the other races. From the front, a group of 5 formed, which was whittled down to 4, and then 3. Myself, AJ and Allen rolled turns for about 20 mins before I lost my rear wheel on a sharp corner and dropped my chain. As AJ and Allen rode off, I struggled to put it back on and was passed by 2 other riders. Frustrated, I caught back up to these two, trying to convince myself to continue and race for 3rd place. I was around 45secs behind at this stage. I caught 3rd and 4th, regained my breath, and noticed I was gaining ground on the two leaders. I managed to solo across, and at about 38mins in, caught up to within 10m of Allen and AJ again. AJ clipped a barrier at the top of the course, coming off his bike, leaving just Allen who had a small gap on me. I was able to bridge across to Allen, and we rolled turns for the next 15mins, trying to drop one another, but never putting more than a few metres into each other. Knowing Allen's experience on the road would have him roll me in a sprint, and that my remounts were a little faster than his, I attacked after the first barrier on the last lap, looked back and had the gap that I needed. I managed to keep it upright and roll through as the 2012 Victorian CX Champ! There's plenty of people to thank, particularly Giant and my associated sponsors;Sram, Adidas Eyewear, Champ Sys, 4Shaw and Schwalbe. The support from everyone at the race made a massive difference and helped me push through the cramps that threatened to ruin my chances of a win. The dirty deeds crew were superb in helping CV run an awesome event, I'm pretty excited for their spooky cross race in November! And I should also announce on this blog that I'm on my way back to Belgium for another season of CX in November! Absolutely pumped for this, and considering the form CX genius Mark Legg will have me in I'm hoping for a top 50 result at any world cup. If all goes well ill be in the USA for CX worlds, and then Japan for some end of season races. This is going to be a big one, but you're only young once, so why not. Thanks for reading this massive post, catch you all soon! You've had a ripper CX season here mate. And I can't wait to see your resultys for the Euro CX season!! !